Spending your summer vacation at an old New England seaport like Wellfleet, you can’t help but think about a nautical theme for any event you may plan while you are there – or when you return home to the Kansas prairie to remember the sea. That’s where the fine folks at Party Swizzle come in. 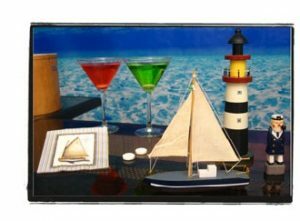 As fine purveyors of party supplies, Party Swizzle also offers tips on how to decorate for parties – including their ideas for, mmmm, a fun nautical themed party – the perfect theme for your end of summer party. You better get going – autumn arrives on Thursday! Find all the party solutions from Party Swizzle here. Lost Cowboy is powered by	WordPress 5.0.4 and delivered to you in 0.816 seconds using 40 queries.